Automotive engineering students from the Clemson University International Center for Automotive Research (CU-ICAR) and student Frederick Naaman from the Art Center College of Design had the help of Mazda USA in the creation of this concept that features several innovative ideas that one day might find their way to production models. 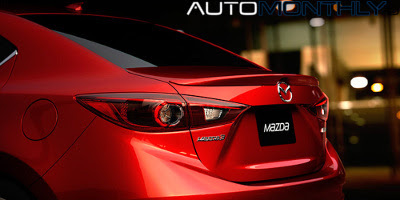 A few days ago, i showed you an image of the rear of the alleged Mazda 3 sedan. Moments ago several pictures of that car appeared in the Russian Top Gear website proving that the image was real. As expected, the only differences are in the rear section of this sedan, which is longer. This image you can see in a larger form below appeared online in several facebook pages and online forums at the same time, so it is hard to tell the original source, but at least we can now have a good look at the sedan's back, which is the parte that have the biggest change from the hatchback. The Mazda 3 was always a cool car. It still is a good product with a decent price, but people never really got into it. From today, Mazda wants to change that. 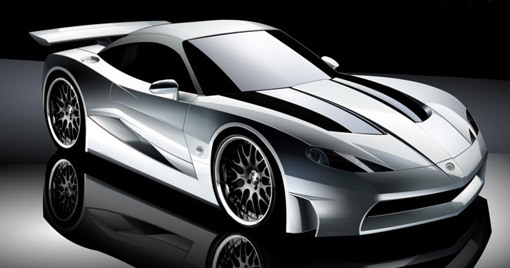 They introduced the new "3" which wants to rival such cars like the Volkswagen Golf, Ford Focus and Opel Astra, with a completely new car. Could this be the first picture of the new Mazda 3? 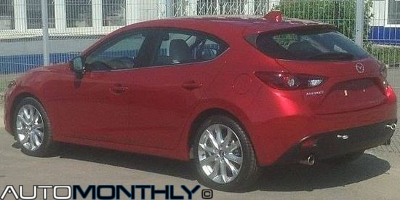 One picture of what seems to be the 2014 Mazda 3 appeared online in a Russian website, but i don't understand Russian, and Google Translator didn't really help, so the information i was able to obtain is not the most reliable. 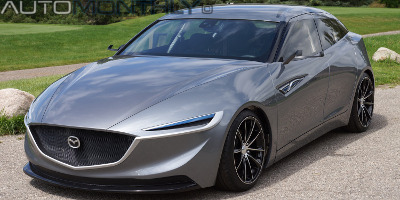 Yet, i strongly believe this is a real image of the all-new Mazda 3. 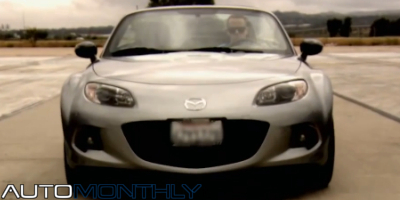 In this video, the Mazda MX-5 takes part in a 1/4 mile drag race against a Porsche, a Lamborghini, a Lotus, a Ford and a Chevrolet Corvette at the El Toro Marine Base in California, and you will be surprise by who won. i won't ruin it for you, so see the video below. The next-generation Mazda 3 caught testing in Germany. First picture of the inside. 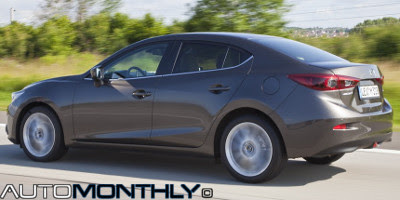 The Mazda 3 is one of the most anticipated cars of the year. 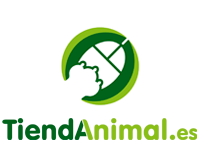 The current model is a great alternative in the c-segment and i am sure the future model will also be a decent option for those who want something different, but still want a product with a good quality and a nice design. 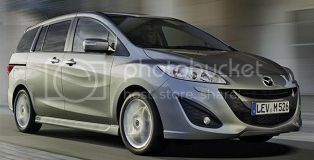 The seven-seater MPV from Mazda got a small facelift for the 2014 model. 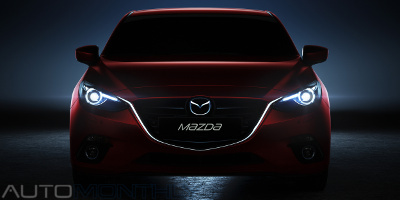 The Mazda 5 now comes with LED turn signals on the rear view mirrors, new wheels, an improved interior and three new colors: Zeal Red, Jet Black and Meteor Grey. 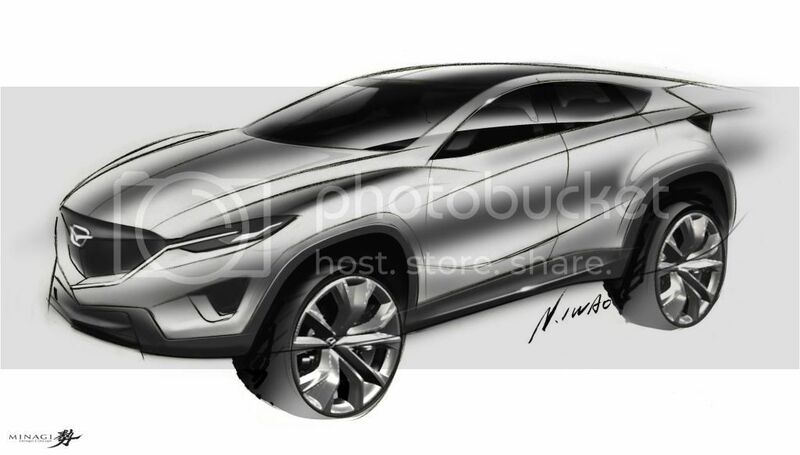 According to AutoExpress, Mazda is working in a smaller SUV slotted below the CX-5 and which will be based on the Mazda 2 "supermini" to challenge the Ford Ecosport and the Nissan Juke. This is Mazda's second win in the last ten years with the MX-5 taking the other win in 2005. The CX-5 won over cars like the Subaru BRZ/Toyota GT86 and the BMW 3-Series. 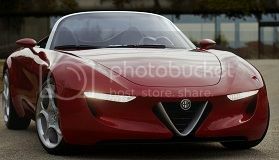 The new Mazda is expected to be introduced in 2013 but it seems the car appearance was already patented since August 2010. This was discovered through these patent drawings recently made public that you can see below. 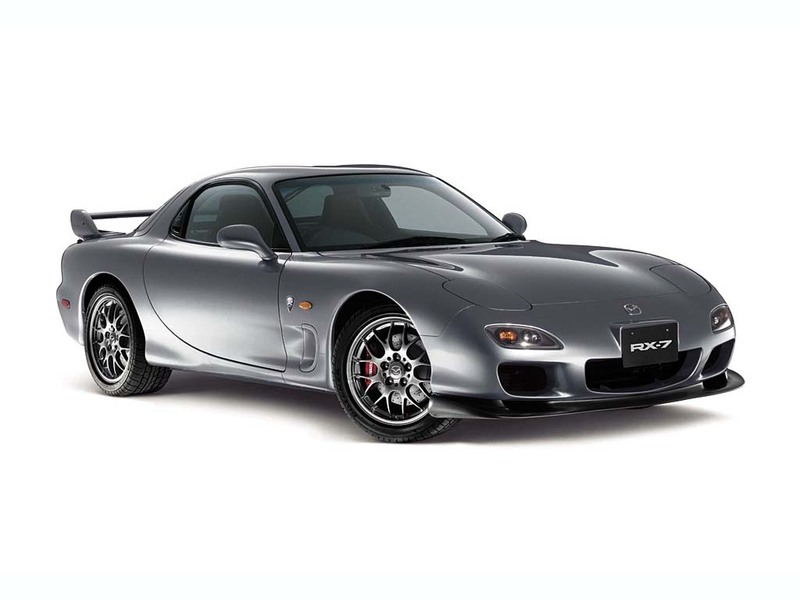 The legendary RX-7 with his also legendary engine, the rotary or Wankel, will return in 2017, 15 years after the previous RX-7 stopped being produced.